Design a dining room in white is what you need to have such a room like restaurant. However, you have to work hard to keep it clean and sleek. Look at the apple green from the curtain that blends with this dining room decor, very appealing. Do you love vintage style? This dining room may look interested for you. With red wooden dining set that work beautifully with grey color wall, the rooms appear attractive. Furthermore, look at the chandelier that completes this style! They are in a good harmony. Dining room in brown and green is brilliant. With white color wall and stone floor, this room comes from traditional house style but chic. Look at modern touch from the lighting. Those elements create such a great combination. This eye-catching small dining room comes with round dining glass table. The unique chairs around also adds sophisticated view. Furthermore, you are given some shelves to save your photos, plants, or more. 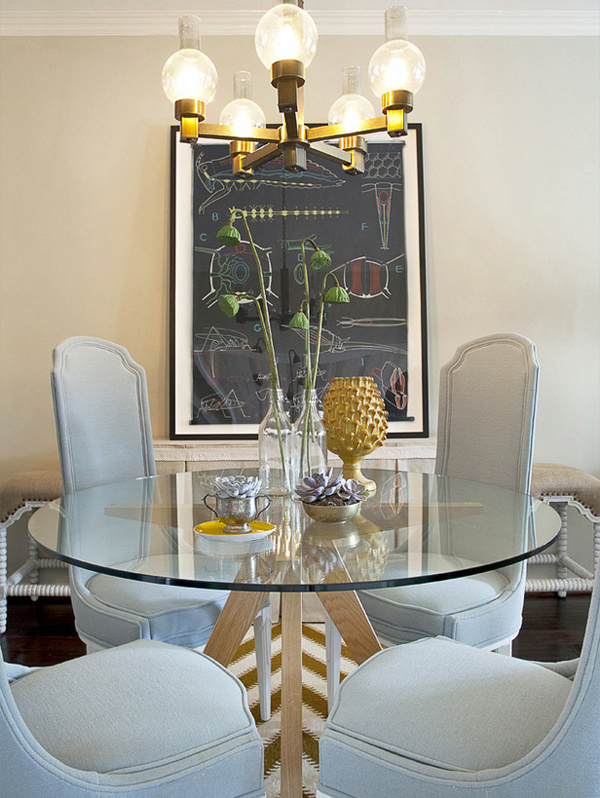 Clear dining chairs help your create enlarge look illusion. These chairs work well for a room which has small space. The bright blue comes to attract people eyes and act as the focal interest of this dining room. Luxurious dining room can be seen through the role of white chairs and golden chandelier. This room also uses round glass table. Overall, this is adorable design that will be fit even for small room. 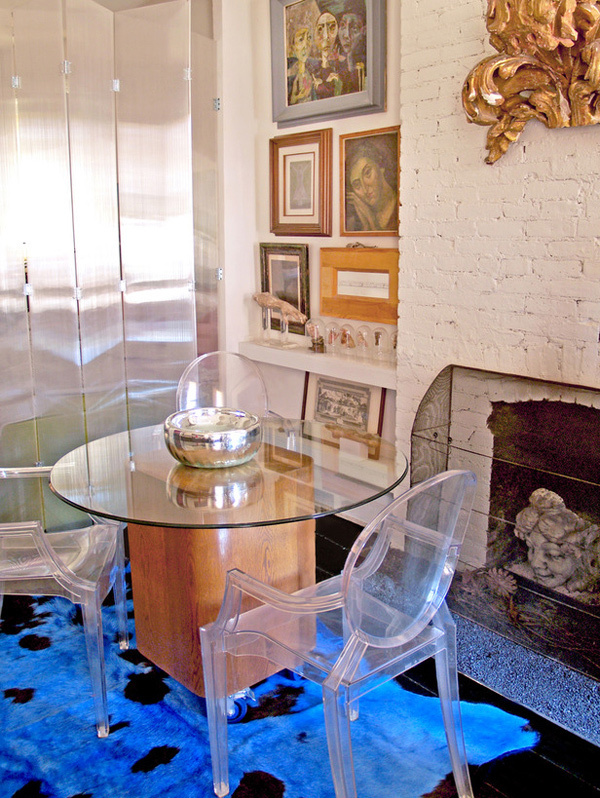 Christopher J. Grubb designs a dining room that works well for small room as well. He uses brown wooden table with four chairs. This dining room seems comfort and eye-catching with a bucket of lily or other flowers as you like. Wooden L seating make you and your family will be closer each other. Furthermore, there are pillows as this dining room accents. Then, two chairs addition let you ask more friend to join with you.